If you have babies or toddlers, don’t miss out on these 250+ sensory play activities for all occasions and seasons. Sensory play is something that you can start with babies and then continue as they grow into a toddler and preschooler. Many early learning teachers everywhere are realizing the benefit and need for sensory play in this early age. Our kids learn so much before the age of 3. Their brains are always working, thinking, learning, and absorbing information from the environment around them. Help your new learner start thinking and exploring as young as possible for healthy progression between ages. 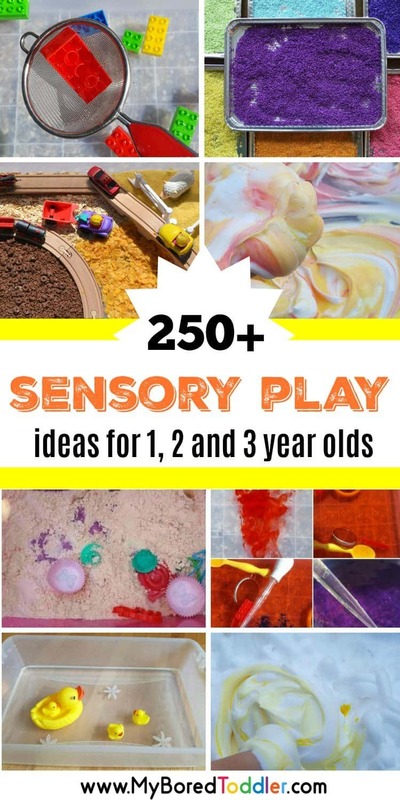 Click here for 250+ sensory play ideas for age infant to 3 from My Bored Toddler.